The US leadership is looking beyond its recent cuts to the the UN agency for Palestinian refugees, with the State Department reexamining the entirety of its aid budget to the Palestinian Authority, Hadashot news reported Wednesday. 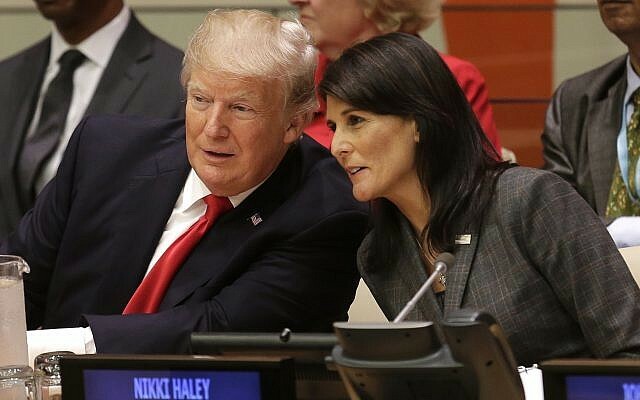 According to the TV station, which indicated the report was based on US sources, the $100 million cut to the United Nations Relief and Works Agency (UNRWA) earlier this month may well only be the start, as the crisis between Washington and Ramallah deepens. A top proponent of further cuts is said to be US Ambassador to the UN Nikki Haley, who reportedly wants the Palestinian leadership to pay for its attitude towards the US government and President Donald Trump. Other officials are said to oppose further cuts. There was no confirmation of the TV report. Trump has also threatened to cut the Palestinian funding. Washington had been paying the Palestinian Authority hundreds of millions of dollars a year “for nothing,” he wrote, complaining that the US received “no appreciation or respect” in return. Hadashot news said it was told that the consideration of further cuts was not intended as a sanction against the Palestinians. However, it was also told that if the Palestinians end their boycott of the Trump administration, budget cuts would be removed from the agenda. The TV station noted that Israeli leadership is not keen on deep cuts to Palestinian funding, with officials afraid that backing the Palestinians into a financial corner could lead to escalation in the territories. The US State Department last week put on hold two planned payments of more than $100 million to UNRWA. The State Department denied that the freeze was to punish the Palestinian Authority, which has cut ties with Trump’s administration, following his recognition of Jerusalem as Israel’s capital. A spokeswoman said it was linked to necessary “reform” of UNRWA. Pierre Krahenbuhl, the agency’s commissioner general, said it had not been informed by the United States of any new reform demands, and had been simply “caught up” in a political dispute. The US gave around $700 million in support to the Palestinians last year, of which about half went to UNRWA, which has a non-political mandate to provide schooling, health care, and other services to more than three million Palestinians across the Middle East. While welcomed in Israel, Trump’s December 6 recognition of Jerusalem as Israel’s capital angered the Palestinians, who seek East Jerusalem as the capital of their future state. 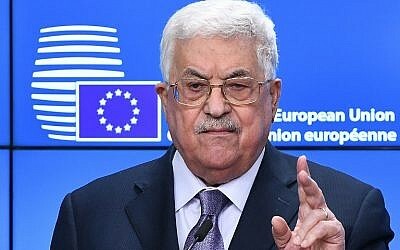 PA President Mahmoud Abbas has said that the US under Trump can no longer be a mediator in peace talks with Israel, even though Trump stressed the recognition was not a statement of position on the city’s final boundaries. In late December, the United Nations General Assembly voted to condemn the US decision in a non-binding resolution, after the US vetoed a similar Security Council measure. 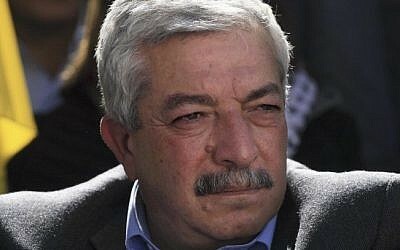 Meanwhile, the deputy chief of PA President Mahmoud Abbas’s Fatah party said this week that Palestinian leadership believes the US has never given anything of “substance” to the Palestinians. “Recently, we were forced to review all of our relations with the American administrations in recent years, and not just the Trump administration,” Mahmoud al-Aloul told the London-based Pan-Arab daily Al Quds Al Arabi. “We assessed that nothing good will come from them for the Palestinian people and the nation, and this is completely clear. “With all their might, they support [the Palestinians’] enemy that is occupying their lands,” he said. Dov Lieber and AFP contributed to this report.